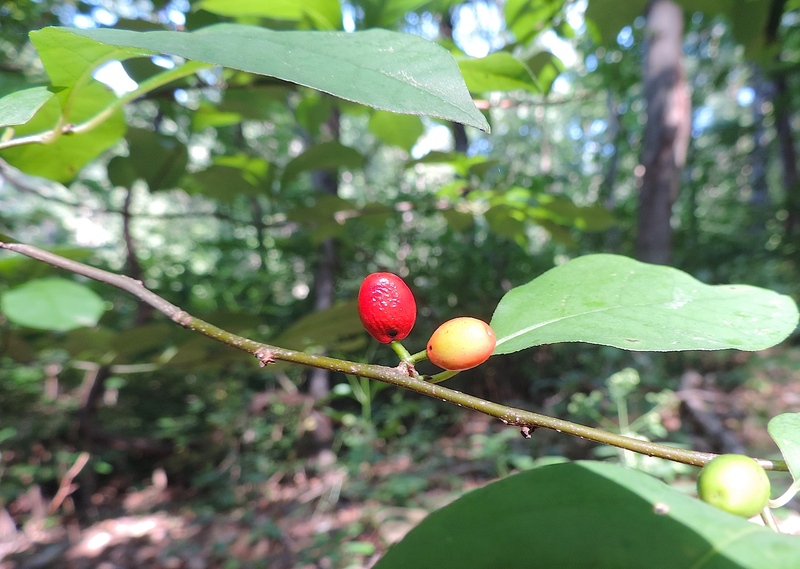 Spicebush (Lindera benzoin) isn’t your ordinary wild plant. It’s a bit different than the other species on the trail. How so, you may be asking? Well, spicebush smells like heaven. Anyway, I encourage you to taste this plant. 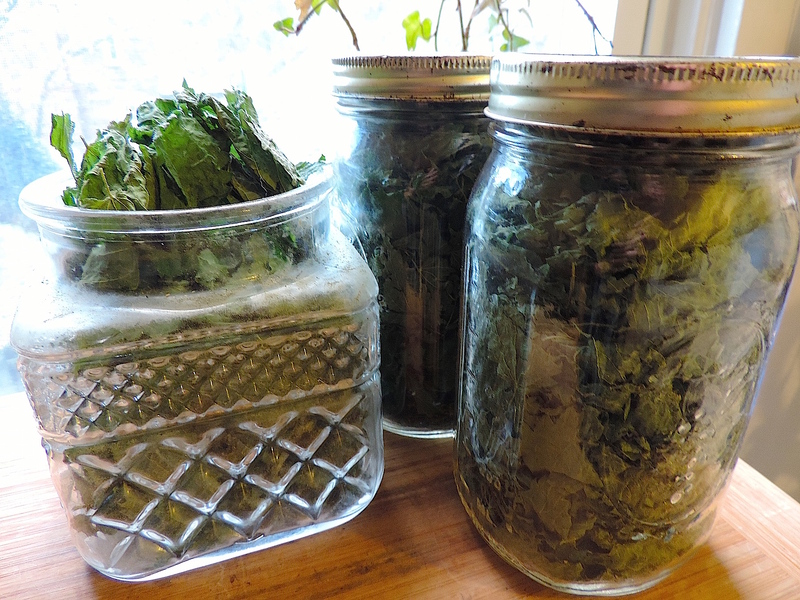 You can make infusions (“teas”) from the twigs and leaves, and you can eat the fruits fresh. Extracts from the bark have been shown to demonstrate anti-microbial and anti-fungal effects, especially against the fungus Candida albicans (Letters in Applied Microbiology 2008). Spicebush also contains a compound known as laurotetanine — an alkaloid with potent anti-viral effects (Journal of Pharmaceutical Sciences 2006). Spicebush… who woulda thought? Check it out on your next walk! The fruits will ripen for several weeks into autumn. Here’s a plant worth knowing: American spikenard (Aralia racemosa). The berries (botanically drupes) are pretty tasty… not too sweet, not too bitter. Having said that, you probably don’t want to sit down to a whole bowl of them. As a trail nibble though, they’re perfect. American spikenard is in the same family as ginseng and wild sarsaparilla (Araliaceae), and is therefore reported to contain similar medicinal compounds (for example, saponins and ginsenosides, which demonstrate tonifying effects). What else can we say about American spikenard? A study from 2009 found that an extract from its aerial parts demonstrated anti-tumor activity against breast tumor cells (Planta Medica 2009). A more recent study from 2011 found that extracts from the roots of American spikenard demonstrated analgesic (pain-reducing) activity… comparable to aspirin (Research Journal of Pharmacy and Technology 2011). Pretty great, huh? 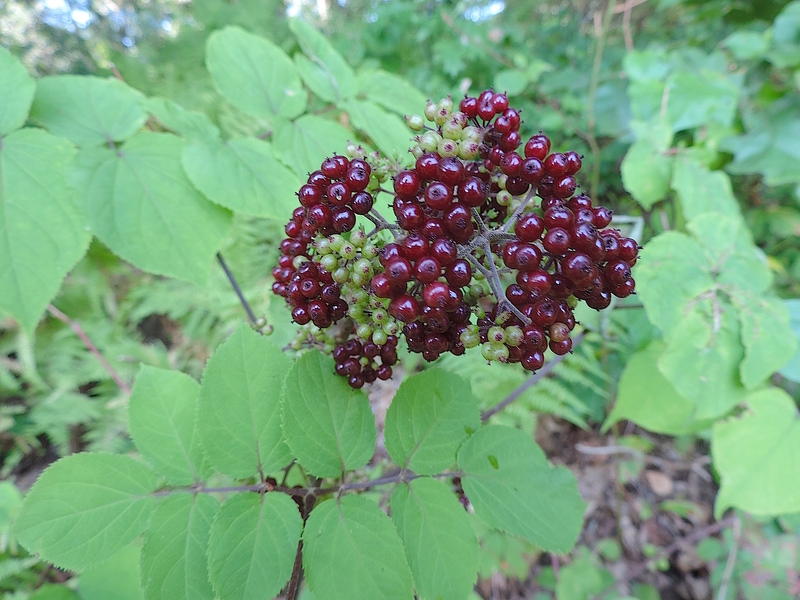 Check out American spikenard on your next walk — the fruits will continue to ripen for several weeks.